About 1,000 years ago Onondaga Lake democracy was born. Seneca, Cayuga, Onondaga, Oneida, and the Mohawk were known as the five nations, they fought against each other for bloodshed. The peace maker carried powerful words of peace. Onondaga Lake Nation's does not find a celebration in this matter. Even though the dredging was accomplished on November 3, 2014; which was a year ahead a completion time. Honeywell dredged 2.2 million cubic yards of contaminated lake bottom. The bad news is that there is still at least 80 percent of mercury and 26 other toxic chemicals that are in the lake bottom sediment. This has been left for future generations to fix. Onondaga Lake is a very polluted lake, now that Honeywell has been in the process of cleaning the lake since the 1970's .It is closer to becoming a healthy and clean lake. More and more wild life is coming back to Onondaga Lake. Some parts of the lake are swim able and fish able, but not all parts. Steve Effler, founder of Upstate freshwater institute say's that "the oxygen level in the lake is so low that fish swim out of the lake." Onondaga Lake was once the most polluted lake in the U.S.
My visit to Onondaga lake was a amazing time. Not a lot of people get to see what I saw. We learned about the salt museum, the history of Onondaga Lake, the salt beds and other things like how they used salt to kill the bacteria and heal cuts so the person wouldn't die. Also about the pollution that happened decades ago, Solvay Process had all their waste dumped into the lake and then Honeywell bought the business and got all the fines and had to invest millions of dollars to clean the lake and make the community a better place for everyone. The tourist kept the trip fun and exciting and I never had a dull moment. The Lake, its waters, plants, fish, shore birds, and animals are an intrinsic part of our existence.The Lake was a place for people to fish and hunt. It was a place for children to play and swim and learn. 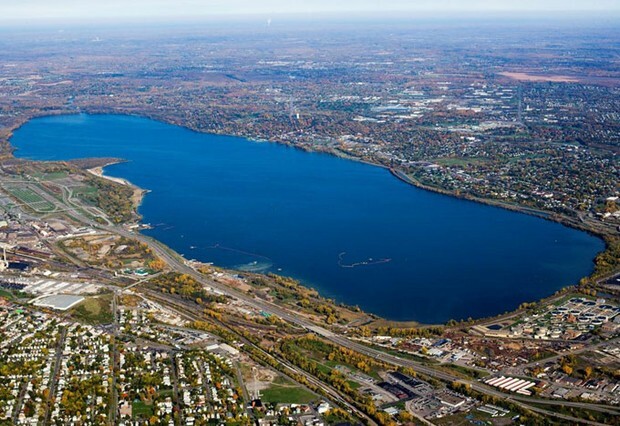 Delegations would arrive at Onondaga for Confederacy meetings by traveling along the Seneca River to Onondaga Lake.We will work to remove the contamination from the Lake and surrounding land. We will ensure that the Lake is clean enough to drink the water and eat the fish. We will strengthen our culture and begin healing.